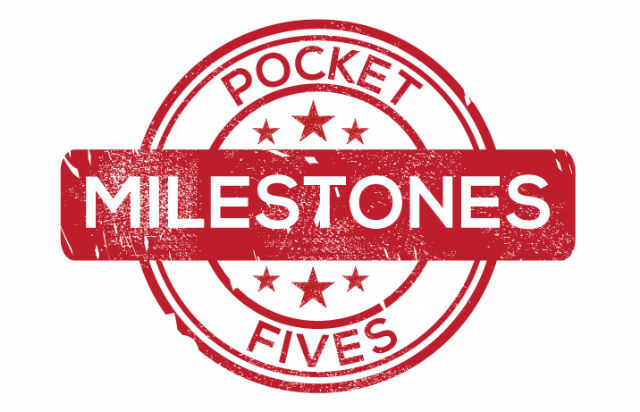 It’s another major milestone for longtime PocketFives player ‘telks’. He becomes just the 15th person to surpass $9 million in lifetime earnings, joining an elite group of grinders that mark themselves as some of the best players of all time. The big moment happened when he finished in the top 50 of the PokerStars Sunday Million for $1,654. Also adding to his lifetime total this week was his first-place finish in the partypoker Monday Main Event for $11,305. A former #1 ranked player in the world, ‘telks’ currently sits ranked at #53. His impressive resume includes a PocketFives Triple Crown as well as over $1.2 million in live earnings. He’s earned victories in side events at the PokerStars PCA, European Poker Tour and the Punta Cana Poker Classic. Next up for the Missouri native is the long march to $10 million to join the likes of Chris ‘moorman1’ Moorman, Nicholas ‘PKaiser’ Fierro and Chris ‘Big Huni’ Hunichen. ‘C Darwin2’ gets twice the coverage this week. Once again, the Swede topped the PocketFives Worldwide Rankings – as he has for every week thus far in 2018 – and he also flew past the $8 million lifetime earnings threshold. Officially he hit the target in his final table finish in the partypoker High Roller on February 20 where he picked up $2,195 for his efforts. Aside from that, he had a massive week earning over $92,000 in total with three five-figure cashes. This included a fourth-place finish in the PokerStars Sunday High Roller for $21,119, a victory in the 888poker Volcano for over $17,000 and a final table finish in Event #22 of the PokerStars Turbo Series for an additional $24,123. Brazil’s Fernando ‘fviana’ Viana da Costa topped the $4 million lifetime earnings mark this week. He was on the grind all week which included a runner-up finish for $12,424 in the $215 Fat Thursday on PokerStars to help him make it happen. da Costa, a mid-stakes MTT specialist from the city of Aruja, is currently ranked #62 in all of Brazil. Joining da Costa in celebrating million dollar markers this week are Zimbabwe’s ‘Rakietman’, ‘nareee’ from Brazil, ‘etxnl01’ from the Netherlands and the #26 ranked player in the world, ’sitpro2011’ from Brazil all of whom passed $1 million in earnings. There were ten players this week who earned career-high rankings within the top 100, four of which occurred in the top 25. Uruguay’s ‘kofi89’, binked a major six-figure score which propelled him to the #13 spot while Argentina’s Ramiro ‘rayastar’ Petrone stepped up one rung to #7. Petrone is in position, with a solid week, to potentially crack the top 5. Estonia’s Aleksei ‘LeshiyAS’ Smirnov broke through to the top 100 for the first time in his career thanks to a victory in the Winamax High Roller for over $10,000 and 195.65 PLB points.